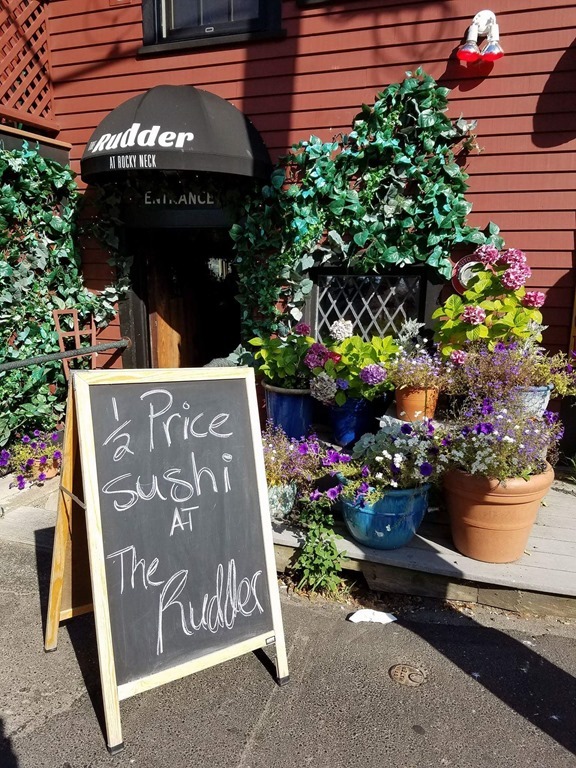 1/2 Price menu at The Rudder, including Sushi, every day till the end of the season! Can’t beat that! 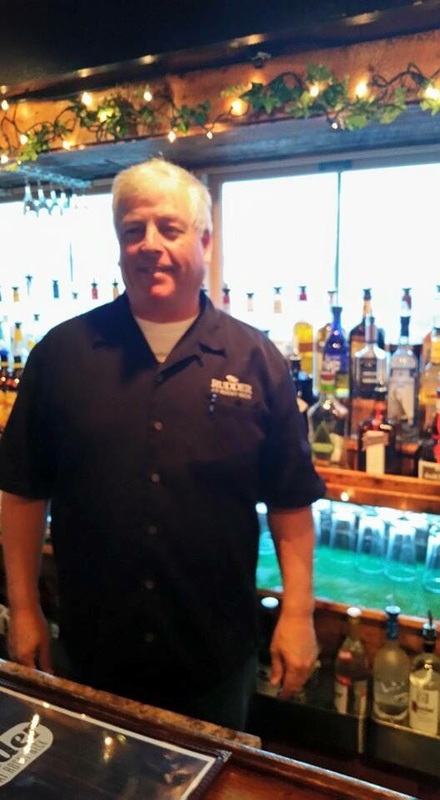 Thursday Through Sunday This Week -The Rudder Opens With Half Off Entire Menu Including Sushi! 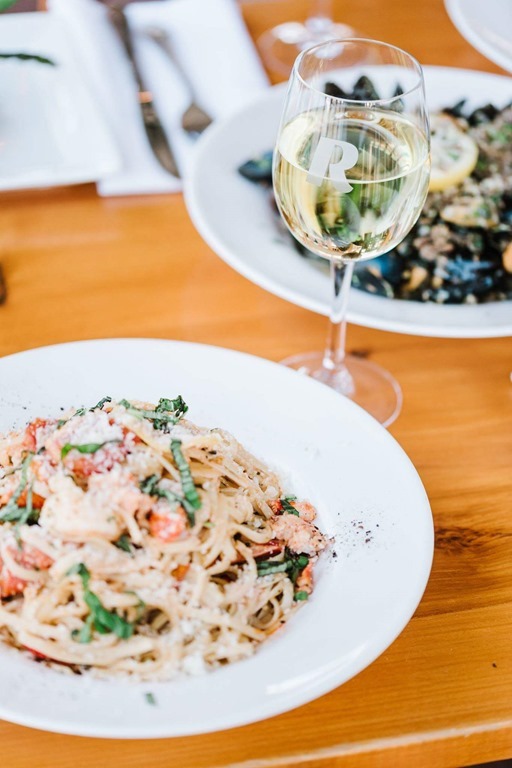 This Thursday we’re opening our doors for the first time this year, and we can’t think of a better way to celebrate than with HALF OFF our ENTIRE MENU! Yes, that includes sushi too! Plus there will $1 oysters. Available Thursday through Sunday. 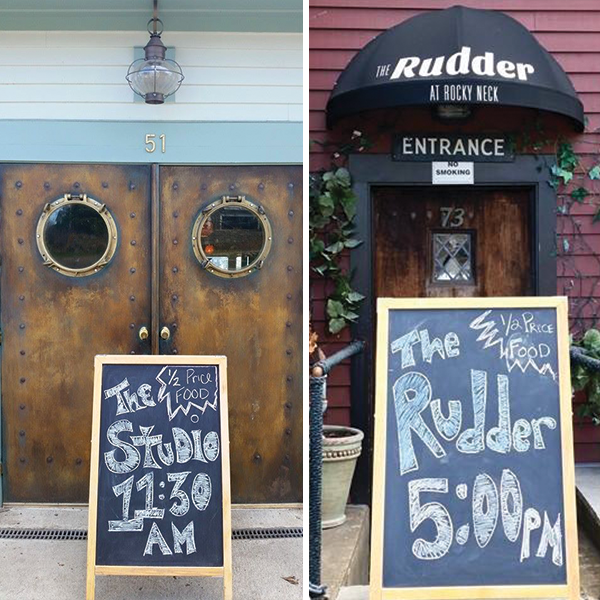 1/2 Price Menu at The Rudder & The Studio… Again! The Studio is now open every day at 11:30am and The Rudder will be open full time starting Memorial Day Weekend (Thursday, May 21st). Just like Jesus rising from the dead. Is it a coincidence that Easter is just around the corner? I THINK NOT! JACK IS BACK ! Tonight at The Rudder! Go show your boy some love! Editors note from Joey, Super K sent me this photo and I thought it was hers but it was from Crazy Carl’s Facebook page. Half Off All Menu Items at The Rudder & The Studio! 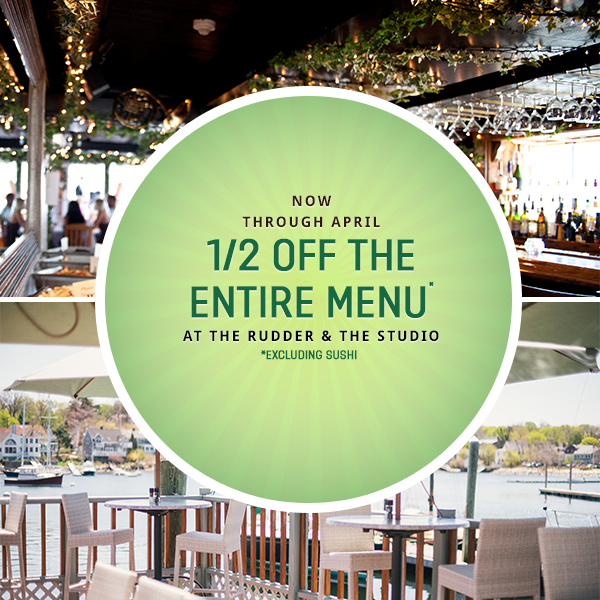 Now through the end of April enjoy half off the entire menu* at The Rudder & The Studio (*excluding sushi). The Studio opens for a new season at 11:30am on Thursday, April 23rd. The Rudder will also be open at 5pm for dinner. Join us from Thursday through Saturday throughout the Spring. See you there!